Not only do we offer tax services for your individual filing, but we provide educational information so you can learn about your tax filing and return. See how we can help you year round with your tax needs from state tax preparation to your federal tax return. 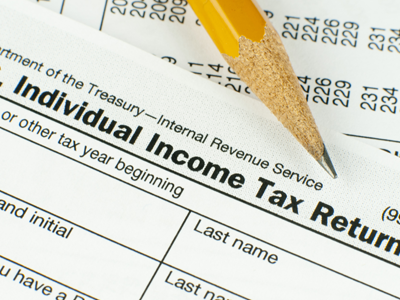 We also provide tax preparation for clients outside of Arizona. Fendell Tax Services of Phoenix, Arizona, provides preparation for individual taxes, both state and federal to clients nationwide. We pride ourselves on getting our customers the maximum refunds and ensuring your information is protected. We launched our business due to an overwhelming need in the community for tax preparation services, particularly for the many immigrants who come to the United States and need assistance in filing their taxes on the state and federal levels. We also assist college students who may need help filing taxes for the first time. In addition, we educate our clients about taxes so they know how to save the most money next year. We operate our business with a code of ethics and precision, ensuring you receive superior customer service and that your tax preparation is handled with care. Our tax preparers participate in continuing education so they are apprised of the latest changes to the tax code, and are here for you should you have a question or issue with your taxes throughout the year. What keeps our clients coming back year after year is they realize we truly care about their needs and provide services to cater to them. AT FENDELL TAX SERVICES, WE EXIST TO AACT. AUTHENTICITY, ACCOUNTABILITY, CONFIDENTIALITY and TRANSPARENCY ARE OUR VALUES and WHO WE ARE.